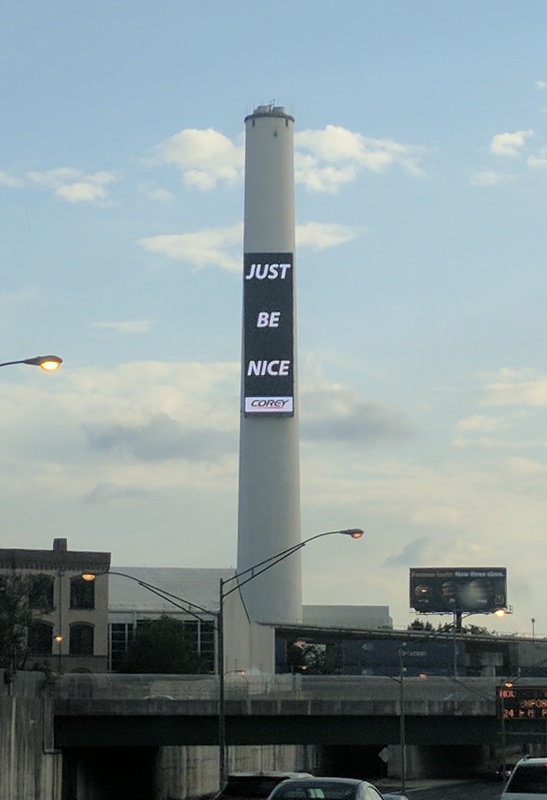 The other day we were driving through downtown Atlanta on the way to Florida and saw for the first time the eye-catching Corey Tower. Corey Tower is a massive, 300-foot tall structure located where 1-20, I-75 and I-85 converge. It claims to be viewed by over 1 million people each day and is “labeled as one of Atlanta’s most powerful branding icons.” Its centerpiece is a 2000 square foot digital display with messaging and graphics 24 hours a day.